Moulson for Torrey Mitchell and picks, idk what for Halak. Future goalie for us now? Always liked the guy in Washington. The Buffalo Sabres today announced that the team has acquired goaltender Michal Neuvirth and defenseman Rostislav Klesla from the Washington Capitals in exchange for goaltender Jaroslav Halak and a third-round pick in the 2015 NHL Entry Draft. Neuvirth (6’1”, 209 lbs., 3/23/88), who was selected by the Capitals in the second round (34th overall) of the 2006 NHL Entry Draft, joins the Sabres after appearing in 13 games in 2013-14, posting a 4-6-2 record, a .914 save percentage and a 2.82 goals against average. A native of Ústí Nad Labem, Czech Republic, Neuvirth spent the first six seasons of his NHL career in Washington. In that time, he has appeared in 134 NHL games, compiling a 59-41-13 record with seven shutouts, a .910 save percentage and a 2.67 goals against average. He backstopped the Capitals to a 4-5-1 record in the 2011 NHL Playoffs, posting a .912 save percentage and a 2.34 goals against average. Klesla (6’3”, 215 lbs., 3/21/82) was acquired by the Capitals earlier today from the Phoenix Coyotes. In his 13th NHL season, the defenseman from Novy Jicin, Czech Republic has appeared in 25 games for the Coyotes, recording four points (1+3) and 24 penalty minutes. In 659 career games with the Coyotes and Blue Jackets, Klesla has totaled 159 points (48+111) and 620 penalty minutes. Sabres Fan since Day One!!! I've lived in the DC area for the last 15 years. My opinion is that Neurvirth was forced into NHL action way to early and never had time to develop his skills in the AHL. I do not believe that "give him love" will make him a true NHL goalie, let alone a goalie that can backstop a Stanley Cup run. He is a stop gap backup for Enroth who will see limited service, unless Enroth shits the bed under pressure. With that said, this is one of my biggest concerns. We have just traded probably the best goalie this team will see in many, many years. Look at the Caps for example. Several years ago they had, IMO, a Stanley Cup contending team. Unfortunately they put all their eggs in the basket of Holby and Neurvirth who completely melted down when they were needed the most. THIS is exactly what I see happening with the Sabres. Finding great/elite forwards/defense are better than finding a great/elite goalie. Miller was a diamond in the rough. No one thought he would turn into an elite goalie when he was drafted 138th in '99. 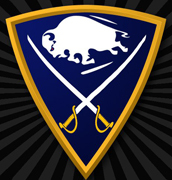 Lightning strike twice with the Sabres and I don't see it happening again for many years to come. You're probably right, but the constant for the Sabres all these years has always been Jim Corsi. He won't be around forever, but as long as he's around, the Sabres and "great goaltending" should always remain synonymous. We've had two great goalies and not a single cup. You honestly think we're going to get better in time for Miller to still be elite? NO. I guess I should have stated that I wasn't against trading Miller. Matter of fact, I'm fine with it. We got a decent return for him. I am just stating that we will have issues in net for many years to come. With that said, the team needs to redesign their defense so that less shots get to the goalie. As for Jim Corsi, he is a great goalie coach and has done well for our net minders. We still need to find a goalie that will develop quickly. I honestly think Linus Ullmark will be our goalie of the future. He is leading the Swedish Elite league in both Sv% and GAA last I saw. Hopefully in a few years he decides to come to the NHL, because once he does, oh man. And as the starter Enroth is now 4-1. Not to buy into it too much but we are stuck with both these goalies next year as they are both signed until then. It maybe was his first full time gig this year, but even in his limited time last year he led the league in those categories also. Hell, a .934 sv% and sub 2 GAA in his first full season is incredible. Nathan Lieuwen is doing a lot to take that title. .920 save percentage and 2.37 GAA splitting starts with a crappy Hackett. He's looked great. Not bad, not good. Average stats in the ECHL (.905 save %, 2.81 GAA).